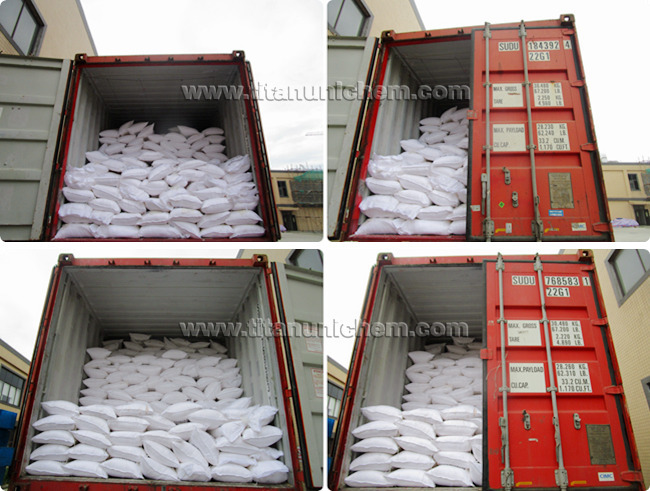 Loading of Sodium Formate from TITAN UNICHEM. Containers of this material may be hazardous when empty since they retain product residues. Tanning of leather: Sodium formate stabilize the chromium, resulting in better leather quality. It is used for better penetration and tanning time reducing. Raw material: Sodium formate chemically reduces other components by donating an electron or electrons. 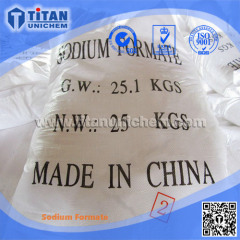 Sodium formate is used in the manufacture of sodium hydrosulfite, a common reductive bleaching chemical. Buffering agent: Sodium formate improves both desulfurization efficiency and increasing lime absorbent utilization. 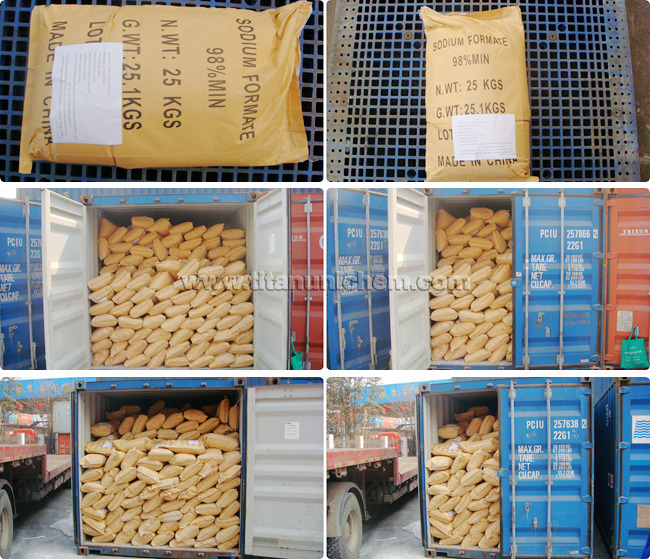 Animal feed additive: Sodium formate is an efficient feed additive as it improve digestibility. 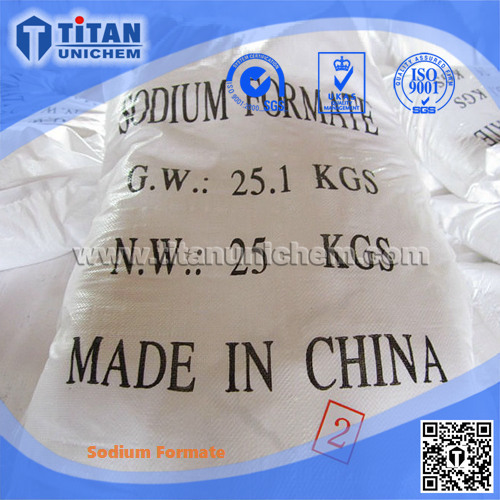 Sodium formate is also used in liquid detergent as a builder or an enzyme stabilizer. It is used in dyeing, in electroplating, in silage preservation.